Facebook is one of the most popular social media sites, allowing users connect to millions of people around the world. It is also believed to have the highest number of users when compared to other social forums. An estimated number of 25 million small businesses are using Facebook to improve communication and build relationships with potential clients. 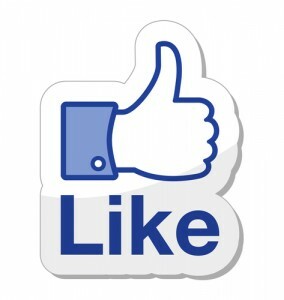 By now, new and existing business are aware of the many benefits of having a Facebook Page. From millions of users to the variety of tools, Facebook has turned out to be one of the most effective online marketing tools for advertising your business. Facebook helps consumers find a lasting solution to their needs. It also offers a platform where online business owners can easily find their client. With a reliable, efficient digital agency in Sydney, small businesses and companies will be able to engage with specific target markets on Facebook at the height of their interest. One of the most effective ways of reaching new customers is by word-of-mouth recommendations. However, peer recommendations have taken a new dimension as they are not only happening through face-to-face interactions but now practiced online. Social media sites have greatly benefited small businesses because users can give feedback on the quality of products or service rendered and also share recommendations. Peer referrals is a great way of increasing your customer base quickly. Having to update your Facebook page regularly with latest happenings increases visibility. Whenever someone shares, comments or likes your posts, it show up in their friend news feeds. Daily interactions increases your chance of reaching out to potential clients. Online marketing tool such as Facebook offers users the chance to find exactly what they are looking for. With its advanced search feature, consumers have easy access to a more personalized service. Amongst these features is the Facebook Graph Search as it allows users find answers to their questions using relevant keywords. Regular updates and posts on your Facebook Page offer more opportunities of getting discovered through its advanced search tool such as Facebook Graph Search. Asides Facebook Graph Search, Facebook also offers a platform where mobile users can easily find new and existing businesses regardless of their location. One of the advanced search tool for mobile users is the Facebook Nearby. This mobile search tool allows users browse business categories, access a business Facebook Page and find specific places nearby on their mobile device.